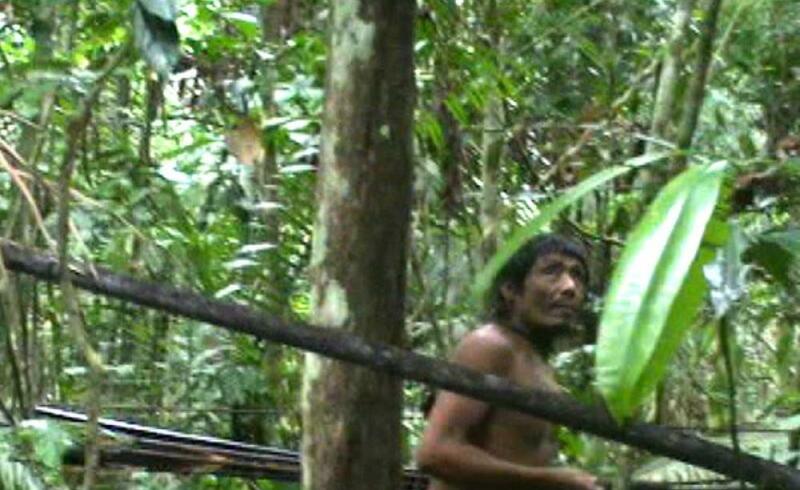 Since the 1990s, the Brazilian Government’s Indigenous Affairs Department have been tracking a man who is believed to be the last surviving member of his tribe. Nobody knows his name, what language he speaks or much about his culture, but some call him the Man of the Hole because he has been seen digging deep holes to catch wildlife. The man’s tribe was slaughtered by cattle ranchers and illegal loggers, leaving him all alone in the amazonian rainforest. Though several attempts have been made to contact the man, it is quite clear that he is not interested. In 2005 he wounded an official with an arrow who got too close to him, making it clear that he wants nothing to do with the outside world. So, officials have respected his wishes and try and help him from a respectful distance. In order to help preserve his way of life, they have left seeds and tool, check in monthly to look for signs that he is well and even protect a small territory for him. “This man, who none of us know, and who’s lost almost everything, including the rest of his people, proves it’s possible to survive, and resist contact,” says FUNAI regional coordinator Altair Algayer, the head of the team monitoring the Man of the Hole’s territory.
? Strawberry-Oat Scones W/ Coconut Butter Glaze [Vegan, Gluten-Free] Persuasive Technologies: The Psychological War On Kids [VIDEO] ?